← New Digital Prints on Wood! 2014 is drawing to a close, and it was another event filled year, with friends, family, and plenty of art and travel. The highlights include working with Project Ethos, and showing at the lovely W in Scottsdale, having my art shown in Times Square in New York, Coachella, and Scope Art Miami. The amazing trip to Germany and working on the road, and beginning the design book project I wanted to do for a long time. Plenty of amazing art was also created by my hands this year, whether it be digital or on canvas or paper, I had plenty of great shows this year. 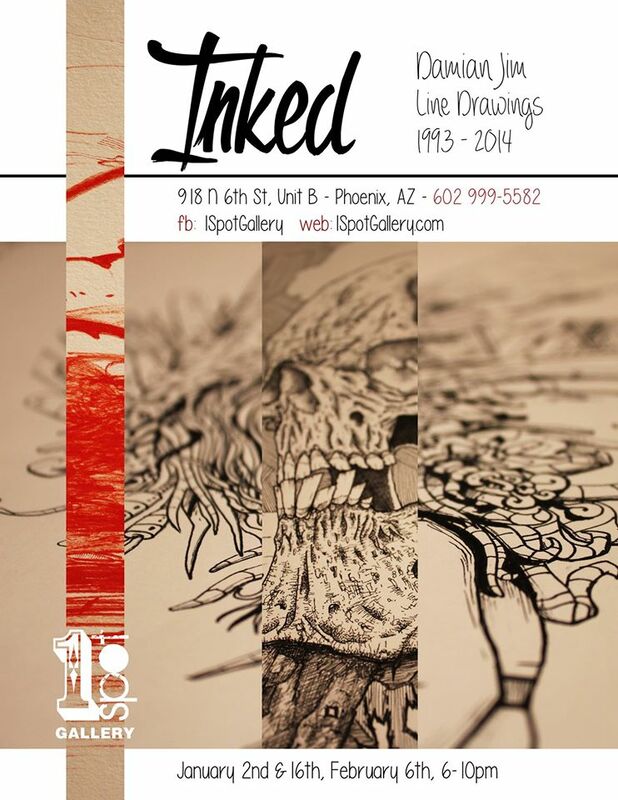 And now to next year, next year will start with a bang, as I will showcase my ink drawings at 1Spot Gallery. The original medium that I started out my art career with will be on display Jan-Feb. While the art will be black and white, the overall theme of the show will also be dark, with a progression to new, light, and lofty works included. I will be including pieces that a lot of my collectors and friends have not seen yet, so expect plenty of surprises. “Inked” will debut for First Friday in January. This month 1Spot Gallery has also reached its 2 year anniversary, and while we don’t have anything planned, it’s a great milestone in the gallery’s history. Thank you to everyone, collectors, friends, patrons, employees, and volunteers, who have made 2014 a year to remember!! !